Omg – it’s week four of this thing already. Are you getting sick of seeing what I wear? I know that I am tired of taking pictures of myself every day. This week was insanely busy, and I sincerely apologize for the quality of my selfie iphone pics. Aaron was working late almost every day this week, so I had no one else to take pictures. Also, be sure to read to the end of this post for a fun giveaway. 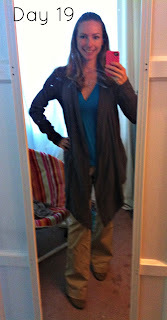 Today I wore my blue shirt and khaki pants, along with a long, gray, drapey sweater. This sweater is actually a maternity sweater, but I loved it so much that I kept it in my closet after putting away all the maternity clothes. Here’s a new item – a black & white striped dress. I bought this at the same time that I bought my white dress I wore last week. I figured it was the perfect replacement for the pink dress that I figured out does not work for nursing/pumping. 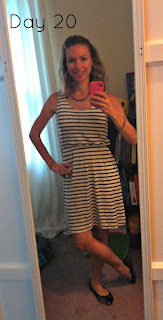 This striped dress works perfectly for nursing/pumping! 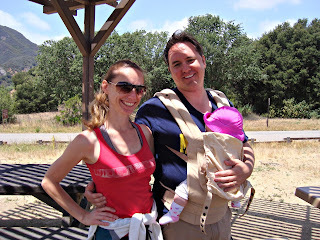 I love this dress so much – expect to see it again next week! 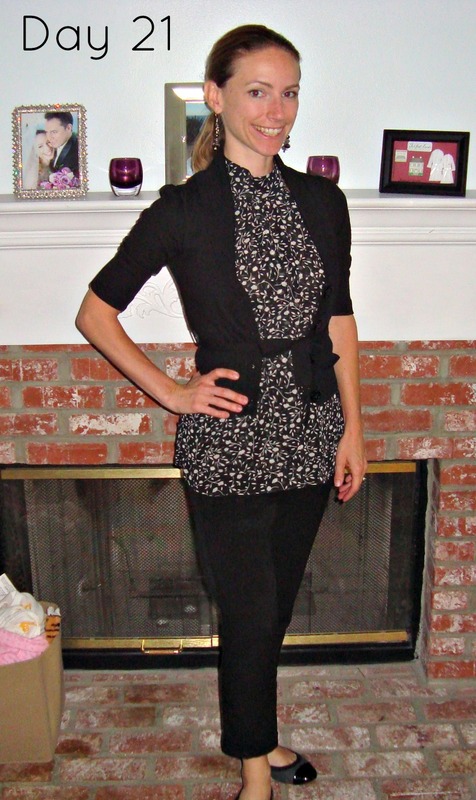 Black slacks, floral print blouse & black sweater. This is a pairing that I probably never would have thought of were it not for this challenge, but I think it came off well enough that I will repeat even after this challenge is over. 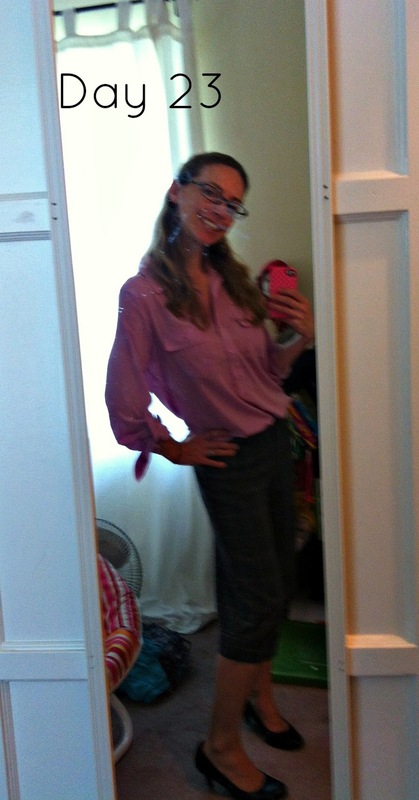 I was definitely feeling “over” the challenge today, hence the half-assed attempt at an outfit and picture. 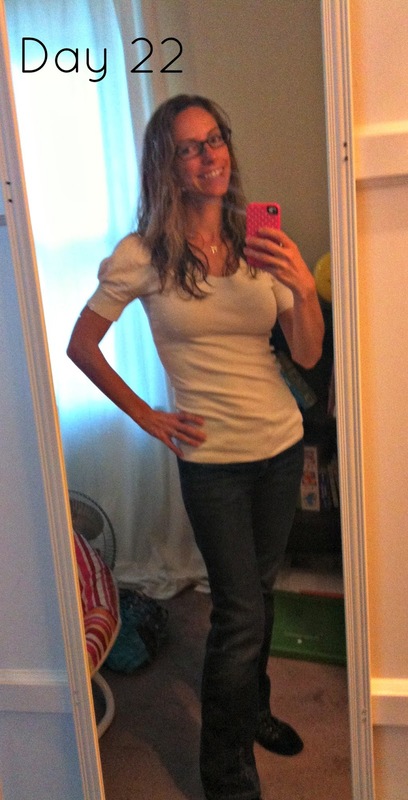 This is a white t-shirt blouse and my banana republic jeans. My hair was still wet in the picture, hence the “drowned mouse” look. I am actually really sad that I don’t have a better picture of this outfit. I loved it! This is my pink Old Navy blouse and my gray/pink plaid pants. And now the piece de resistance – the other girls participating in this challenge and I have gotten together to offer a little giveaway. We’re offering a $60 gift card to one of our lucky readers! 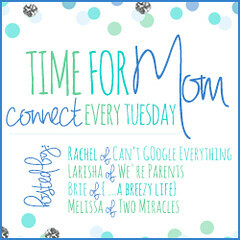 Special thanks to Jacqueline for organizing giveaway and Kim for designing the graphic . . . and of course, to Kelly for hosting the challenge. This giveaway is open from 5/27/2013 - 6/2/2013 and the winner will be announced on 6/3/2013. Entries will be validated. Winner will be emailed and has 48 hours to respond before a new winner is selected. As always, be sure to check out all the other lovely ladies participating in this challenge. Love Day 20, you look really cute! And, I think I would have cheated on my birthday, too! Love your new dress! And I actually love your shirt in day 22. Its so flattering on you!! happy belated birthday! And I love Day 21! I also love your new dress. It is so cute and perfect for summer. Happy happy birthday! Hope it was a fun day.